‘What does German look like?’ Lucja asked. 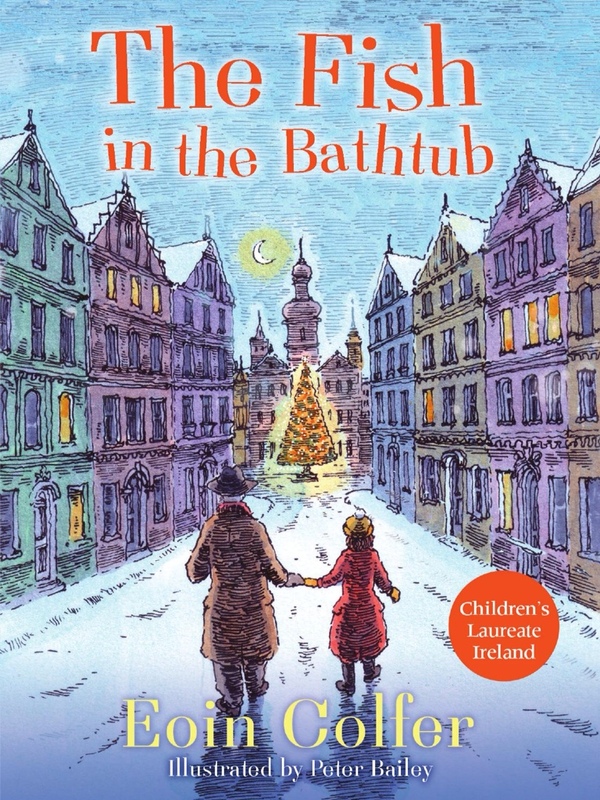 If you’re after an original, heartwarming Christmas book without the usual turkey or trimmings, then look no further than The Fish in the Bathtub. 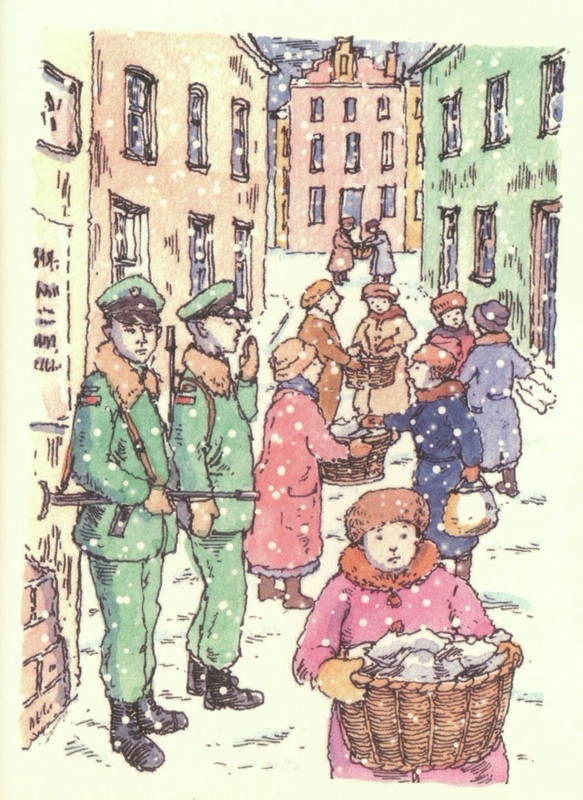 Eoin Colfer, the writer of the Artemis Fowl thrillers, takes us back to Warsaw in the late 1970s. It’s a city under communist control, and still bearing the scars of the Nazi occupation thirty years before. 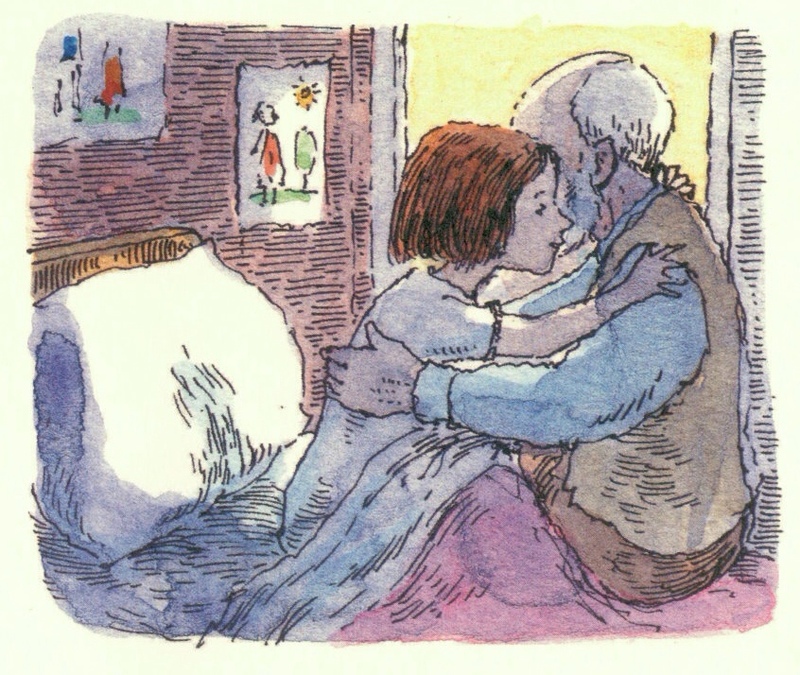 But that means little to Lucja, an eight year old girl who has a very different outlook on the world than her Grandpa who can’t leave the past behind. There is more than a generation gap between Lucja and her Grandpa. 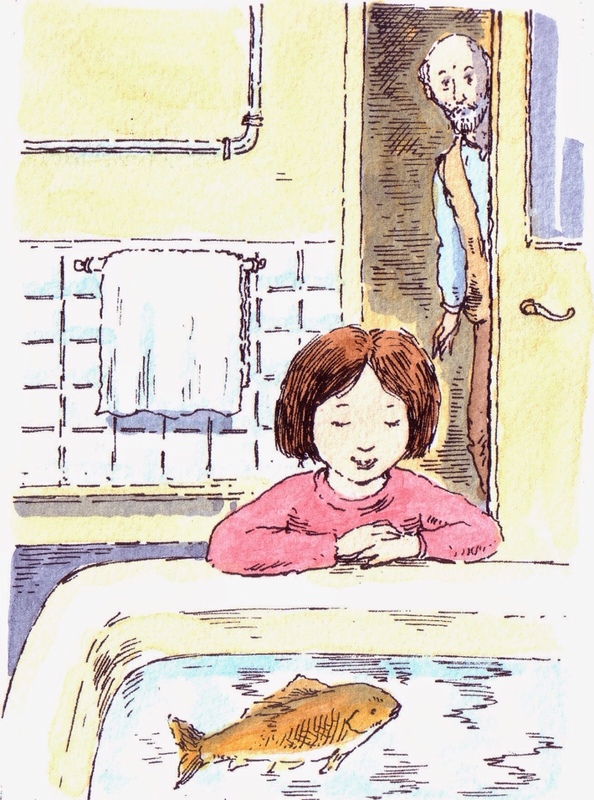 She reminded me very much of David Almond’s Mina, another girl who thinks differently. 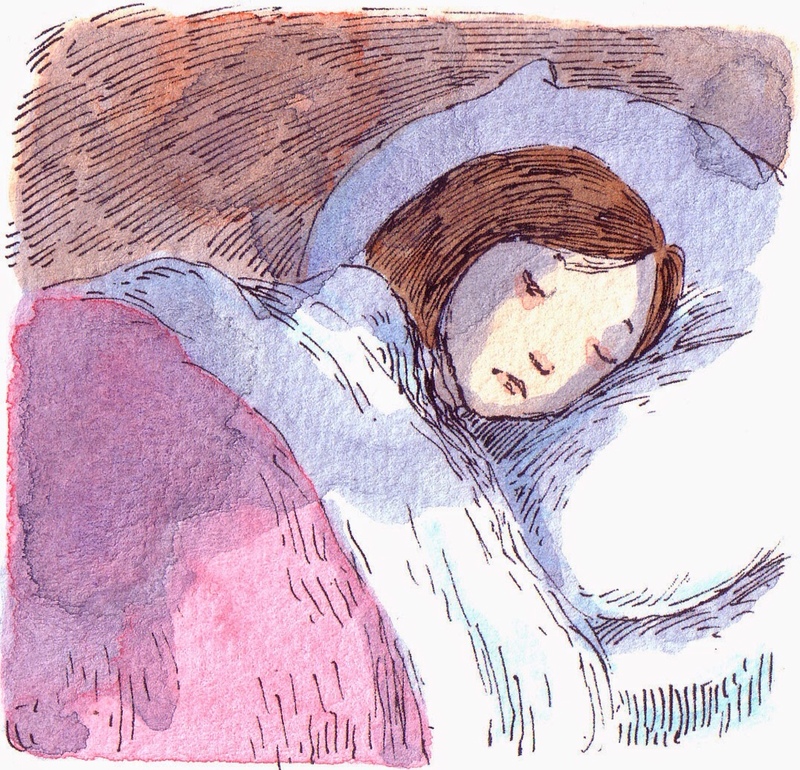 Like Skellig and My Name is Mina this story’s power lies in the central character’s strength of mind and sense of injustice – something that will appeal to any child. Things come to a head on Christmas Eve when the time comes to remove the fish from the bathtub, ready for the dinner table. The stand off between Lucja and her grandfather is tense, with forty years of bitter history coming to the surface. I’ve read the book three times now and the ending has made me cry every time. 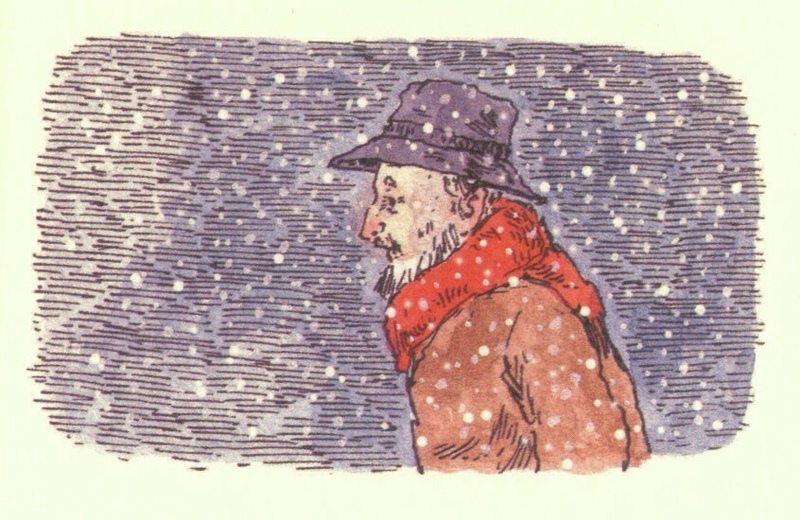 Colfer, and illustrator Peter Bailey have created a book that encapsulates the meaning of Christmas, without falling back on a single cliche. Bravo. 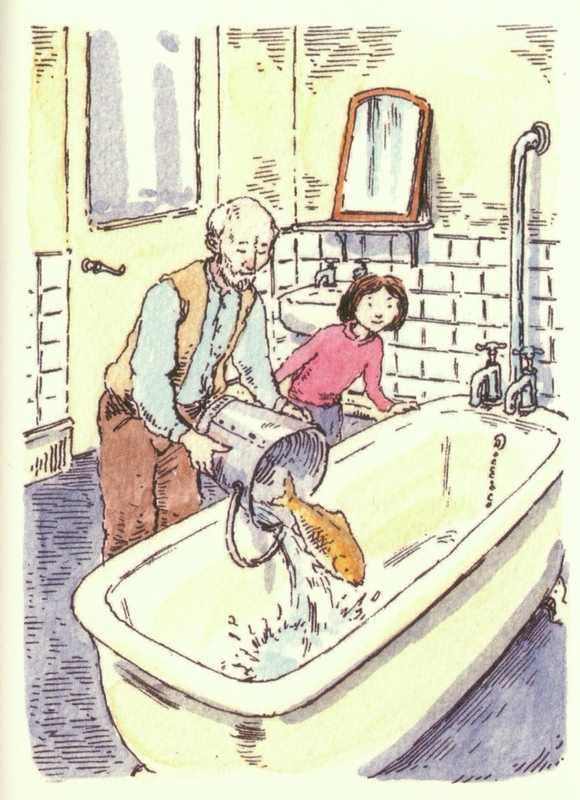 The Fish in the Bathtub is published by Barrington Stoke. It’s printed on dyslexia friendly cream paper. 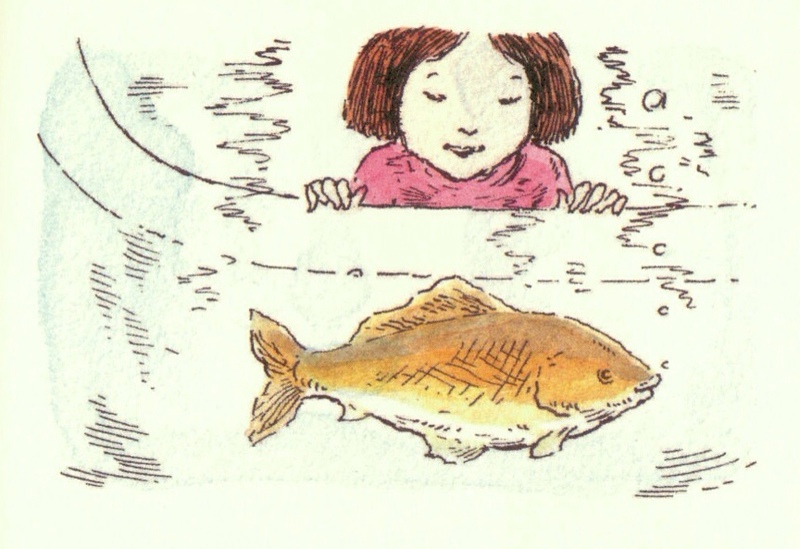 Tags: A Fish in the Bathtub, Artemis Fowl, Eion Colfer. Bookmark the permalink.